The section of the website provides information into the types and numbers of incidents County Durham and Darlington Fire and Rescue Service attends. Its goes on to discuss the types and numbers at the service level but also provides a link to the other sections of the website which provides information on incident numbers for each fire station. 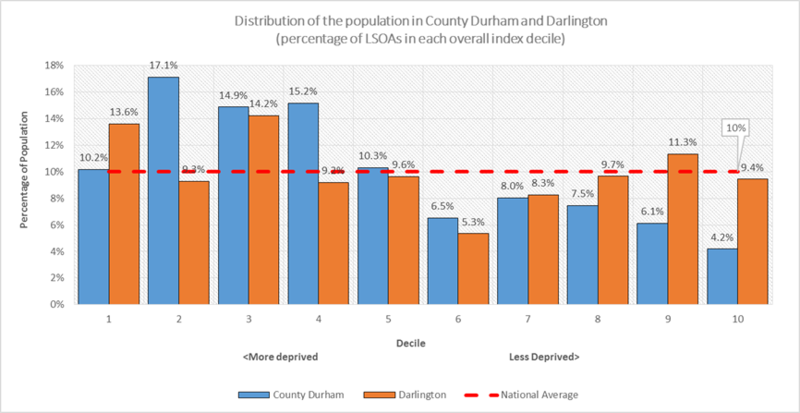 County Durham has 36 LSOAs (11.1%) ranked in the top 10% most deprived areas in England. These 36 LSOAs cover an area representing 10.2% of the county’s population with 42.2% of the county’s population living in areas in the top 30% most deprived nationally. Darlington has 10 LSOAs (15.4%) ranked in the top 10% most deprived areas in England. These 10 LSOAs cover an area representing 13.6% of the county’s population with 37.1% of the county’s population living in areas in the top 30% most deprived nationally. Nationally, 10% of LSOAs are ranked in the top 10% most deprived areas in England. This equates to 10% of the population. To view or download a map of the service area which also shows the locations of all the fire stations please visit the page 'Map of the Service Area' which can be found under the About Us ---> What We Do. The latest national statistical information on fires, casualties, false alarms and non-fire incidents attended by the fire and rescue services in England is available in the Fire and rescue incident statistics: April 2016 to March 2017. This was released under the auspices of the UK Statistics Authority. The statistics in this release focus on the period of 1st April to 2016 to 31st March 2017, however, data tables are available which show statistics going back a number of years. The Fire and rescue incident statistics: April 2016 to March 2017 and supporting data tables can be found on the government website www.gov.uk. Alternatively you can click here to link directly to the Fire and rescue incident statistics: April 2016 to March 2017 page.